Let Nightingale Nursing be part of your post-operative care. We have the healing hands to ensure your treatment, medication and therapy are professionally taken care of. 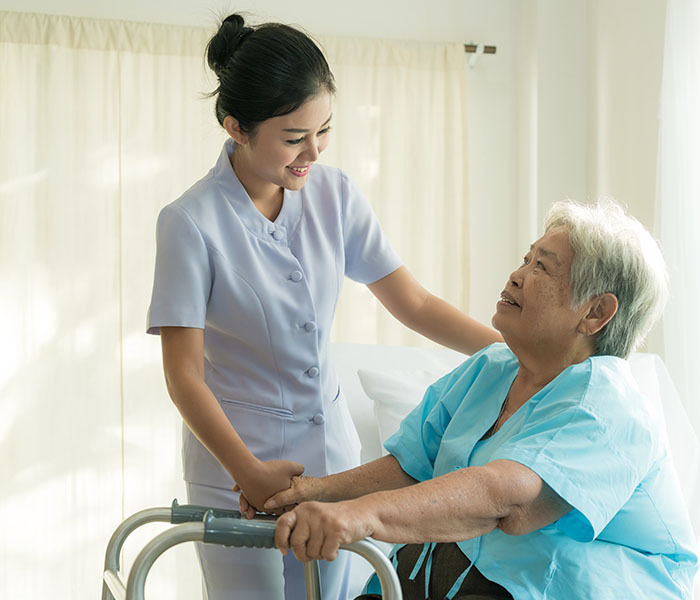 Your dedicated nurse will come to your home, supply and assist you with all of the dressings related to wound care, increase your mobility and help to educate you towards the most successful recovery. Most people would agree that recovering in the privacy of your own home is faster than in the hospital. It is proven that the comfort of your own home speeds healing because you’re surrounded by loved ones, pets, familiarity of environment and access to personal belongings and entertainment. Healing at home allows you to keep your muscle mass due to natural mobility, increased rest and decrease the likelihood of attracting hospital acquired infections/illness’.